Add a gallon of Tom Waits to a quart of Louis Armstrong, mix well and you get Lonnie G., a contemporary troubadour with a raunchy, bluesy voice, and quirky guitar style. Lonnie performs an eclectic array of Blues, Jazz, Folk and Classics. 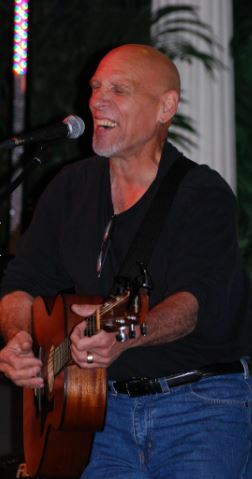 Lonnie has been a touring musician for over 40 years throughout the USA, across Canada and in Europe. He resides in Victoria, BC since 2011 and performs across Vancouver Island. Lonnie is bringing a few of his exceptionally talented musicians friends with him. Accompanying Lonnie as a percussionist will be Kathy Omalley. A few of the other musicians friends including Sue Hanson and the duo band Beautiful Luck are going to be performing at the Open Stage.